Jason needs your help to continue to fight for you in Raleigh against high taxes, over regulation, and to stand up for our values. $20.18 - Let's make this another successful campaign! 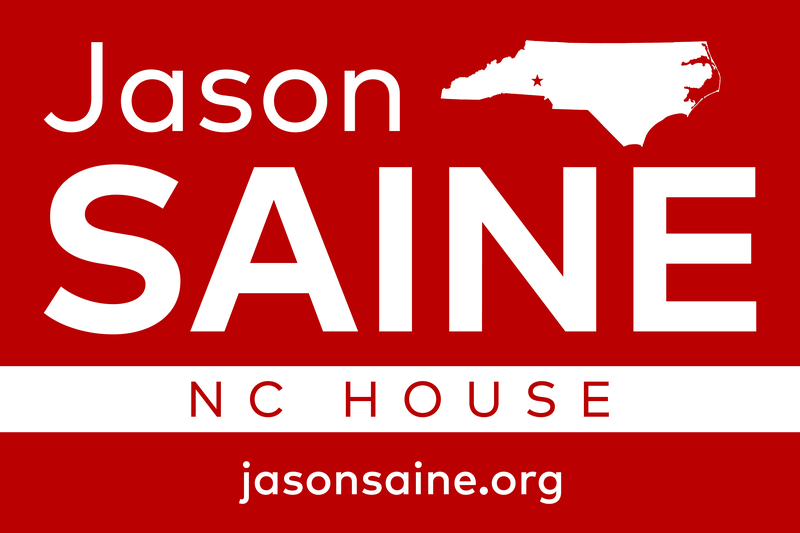 Contributions to Jason Saine Committee are not deductible as charitable contributions for federal income tax purposes. Contributions from corporations, business entities, labor unions, professional associations, or insurance companies are prohibited. An individual may contribute $5,200 per election. Couples may contribute $10,400 per election from a joint account, but such a contribution requires both signatures. This contribution is not made from the general treasury funds of a corporation, business entity, labor unions professional association, or insurance company. This contribution is made on my personal credit card for which I have a legal obligation to pay and is not made on a corporate credit card.